Fairtrade originated from the need to protect farmers and workers in developing countries. Today the Fairtrade label represents a global movement that guarantees better prices, decent working conditions, local sustainability and fair terms of trade. Conventional trade traditionally takes advantage of the poorest and weakest producers that have the least bargaining power. Coffee and chocolate are amongst the commodities which are particularly prone to appalling working conditions and price fixing by the major corporate buyers. Price – farmers are paid a reasonable price, never below the market value. Environment – farmers have to meet environmental standards, to protect natural environments. Sustainability – promoting the use of sustainable and organic farming techniques. GM ban – forbid the use of GM seeds and planting stock. The small producer – with around 70% of coffee producers being small scale they face particular disadvantages in the market place. Fairtrade favours and support these producers. Child labour – prohibits child labour (under 15 yrs old). Discrimination – Fairtrade follows the Universal Declaration of Human rights. Occupational health and safety for workers – the developing world has acutely inadequate. standards for health and safety. Fairtrade sets minimum standards. 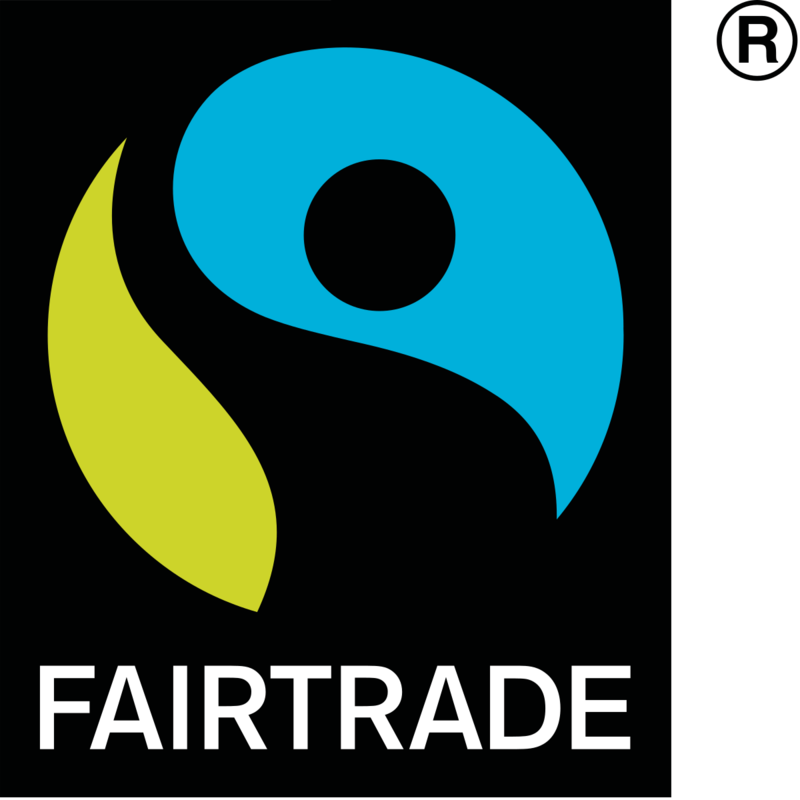 So when you next shop for bananas, tropical fruits, coffee, tea, dried fruit and nuts, rice or sugar look out for the Fairtrade logo. Final thoughts – The need for the Fairtrade movement highlights everything that is wrong with corporate power and greed in the food industry. The plight of the farmers in developing countries in the starkest realisation of this, but the same principles apply globally. Being an Ethical omnivore is about supporting good farming practices and real farmers. Without them we won’t have ongoing access to quality, sustainable products. It might cost a bit more but the value is far greater. Wow there is a huge difference between farmed and wild salmon. Nutritionally it is a completely different product. Farmed salmon is higher in calories, fat and saturated fat. People eat salmon due to it being a good source of Omega-3 (one to increase), but farmed salmon is also high in Omega-6 (one to decrease). Farmed salmon are fed on oil and smaller fish, ground-up feathers, GM yeast, soybeans and chicken fat. The white lines you see on a salmon fillet are fat lines. Wild salmon get their colour from eating krill and shrimp. The flesh of farmed salmon is grey, and is coloured by astaxanthin, a manufactured copy of the pigment that wild salmon eat in nature. Concern about antibiotics – Antibiotics are often routinely used in fish farming, which presents the same concerns as all intensive farming and the risk of causing antibiotics resistance in humans. Sustainability – Many farmed fish are fed largely on wild fish. To produce farmed fish such as salmon, it takes about three times the weight of wild-caught fish. This is not only unsustainable, but adds to the serious welfare concerns about how wild fish are caught and slaughtered. Wild salmon volumes are also greatly depleted so eating less fish is essential. Origin – Wild alaskan salmon is the most readily available source of wild salmon. Salmon farming is prohibited in Alaska to protect wild stocks and fisheries. Wild salmon used to be readily available in UK and Ireland coastal waters, but they have been greatly affected by farmed fishing. Be aware that some frozen wild alaskan salmon is packed in China due to cheap labour! So look for Alaskan salmon, packed in the UK. Organic salmon – is definitely preferable to the conventional fish-farmed equivalent, but that’s not saying much. Salmon is a wild animal so farming it is still farming even if it is organic. The stocking density are less and use of chemicals are less but the product is still inferior to the wild variety. Risky pollutants – Persistent organic pollutants (POPs for short) sound dangerous. They are. POPs have been linked to several diseases, including type 2 diabetes and obesity. Evidence suggests obesity might be even more of a risk factor for diabetes when POPs are present in your body. And specific types of POPs increase the risk of stroke in women. Why does this matter? Because PCB (one type of POP) levels are five to 10 times higher in farmed fish than in wild fish. Wild salmon wins here, hands down. Cancer-causing chemicals – In the wild vs. farmed debate, this is a tricky issue. Although both offer omega-3 fatty acids, eating large amounts of either type of fish to get their full benefits could expose you to cancer-causing chemicals. These chemicals come from the potentially polluted water fish swim in. That’s why your omega-3 sources need to be broad, with fish as only one piece of the puzzle. However, one study does conclude: “The benefit-risk ratio for carcinogens and noncarcinogens is significantly greater for wild salmon than for farmed salmon” Both wild and farmed salmon come with risk if eaten in large quantities. But eaten in moderation, wild salmon is safer. Unsafe contaminants – In recent studies contaminants in farmed salmon were generally higher than in wild salmon. Likewise, other research has suggested that children, women of child-bearing age and pregnant women should choose wild salmon — or other sources of omega-3 fatty acid. Both wild and farmed salmon contain contaminants, but wild salmon has lower levels and is considered safer overall. Smoked salmon – The same applies to smoked salmon products. This once luxury item has become relatively cheap and readily available, look for wild Alaskan smoked salmon. Tesco offers reasonably priced option in the major supermarkets. Alternatives – In search of health-giving oily fish that are cheaper and reasonably plentiful, then we must turn our attention to other species like mackerel and herring. When being any wild fish look for the MSC logo. Grow fast, die young, (very young) – The modern broiler (meat) chicken, typically a Ross 308 or Cobb 500 is a very different animal to the one we envisage peaking around the farm yard. Huge investment has been made by the industry to grow the chicken as large as they can as fast as they can. This work continues with ongoing pressure to produce more and more cheap chicken whilst maximising profit, weights increase and days decrease. This presents huge animal and human welfare, environmental issues and global health risks all for a lower quality product. Figures from the FSA published Oct 2017 found Campylobacter contamination in 56% of chicken from 3,980 samples – 29.5% @ 10 – 99 cfu/g, 21.6% @ 100 – 1000 cfu/g and 5.9% over 1000 cfu/g. This is a decrease from previous years but highlights the price of force farming animals. *Campylobacter is naturally found in all poultry but not at the dangerous levels seen in industrial farming. BPC figures reported 23.72 tonnes of antibiotics were administered in 2016 despite evidence that they could be fuelling drug resistant forms of dangerous food poisoning illnesses in humans, including campylobacter, salmonella and E.coli. Breast meat severely affected by WS (*White Striping) has dramatic variations in nutritional values, including a 224% fat content increase and a 9% protein decrease. Chicken lorries heading to the slaughter house, the ones you see on the motorway layed with orange crate carry around 6000 birds. It’s not nice – but THAT is how supermarkets can sell a whole chicken for £2.60 per Kg! Cheap chicken being good value is a myth. It is low quality, unsustainable and high risk. For free range birds in the supermarkets you’ll pay around £4.25 per kg for free range and £6.95 per kg for organic whole birds. Search for slow grown or traditionally raised chicken and you’ll find plenty more. At the butchers, farm shop, markets or independent retailers, always ask how the chicken was produced, don’t assume it is higher welfare. As with any meat, don’t buy on price alone. Consider what you are getting for your money. Think about the value, the taste, the texture, health considerations, you are not comparing the same product and with chicken the extra money is well worth it. Being and EOr is not simply about replacing your meat with an ethical product, it is also about cutting down our meat consumption, therefore offsetting the cost of superior meat products. Eat less and eat better. Beware of the Red tractor logo! It does not mean higher welfare, it is still intensive indoor rearer broiler chickens. Parting thoughts – Buy chicken with caution, there are higher welfare options and the cost different is well worth it. There are also lots of ways to replace chicken in dishes if you choose to cut down or want to give chicken meat up. Herefordshire – beautiful open countryside and…..